Welcome to our first monthy Growing Mystery Box!!! 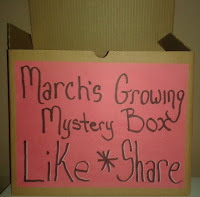 For the entire month of March I am going to be adding items to our Mystery box. At the end of March there will be a MINIMUM of 5 items in the box which will be a combination of full size products, samples…and any goodies I can come up with. Now notice I said minimum right? That is because there are ways to get additional items placed in the box with a combined effort from my AMAZING 7300+ fans the sky is the limit, I will be reminding you all about Growing The Mystery Box every day or every other day and then you find the reminder post on facebook and click the “SHARE” button, if the post gets 100 shares the box will receive ANOTHER item in it, that shouldn’t be too hard to do with so many awesome fans. 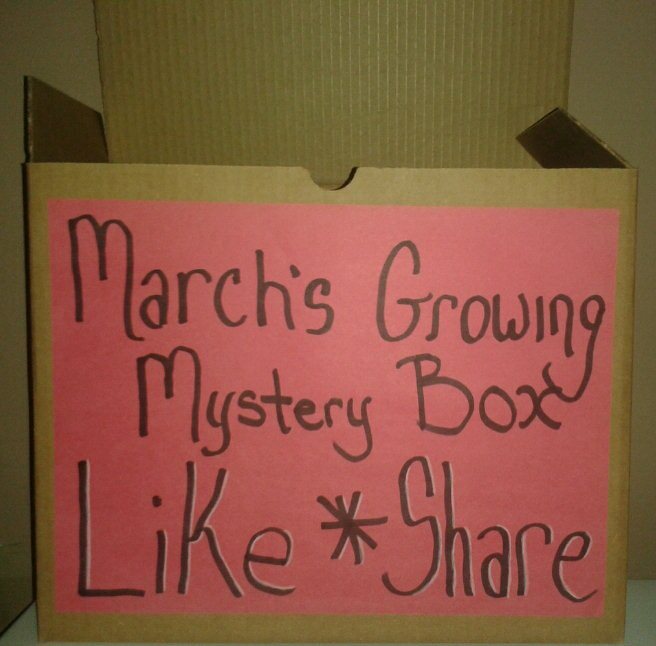 Grow The Mystery Box Posts with 100+ shares earn an additional item in the box! Contest will start 1 week prior to the end of March and 1 lucky winner will take it ALL at the end of March! !